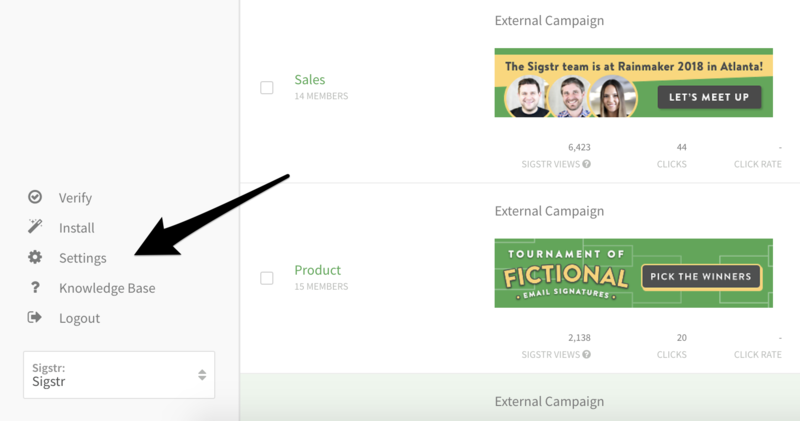 If a Sigstr user’s domain matches that of an email recipient, an internal campaign will be served automatically once you have successfully set up an internal campaign and have met system requirements. Some organizations, however, may have multiple brands or branches that have different domains. If you would like to specify additional internal domains, follow the steps highlighted below. Navigate to your account Settings. Select Recipients and list the domains that should receive internal campaigns. You can choose as many internal domains as needed. During compose, all Sigstr end-users will see the external campaign in their signatures. Campaign specification will not occur until the email has been sent. 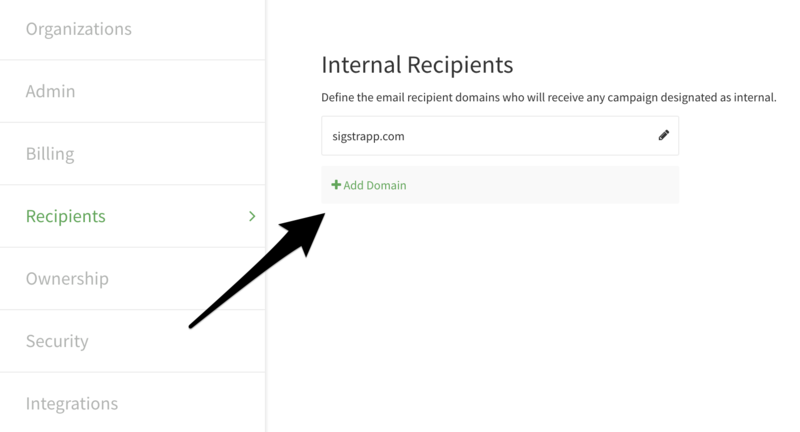 If a Sigstr user is emailing an internal recipient, the campaign will change to the internal campaign. If a Sigstr user is emailing more than one recipient or email address, the campaign will automatically be designated as external.